If you came here for an epiphany on how we can fix the Health Care System in the United States, I apologize forthwith. 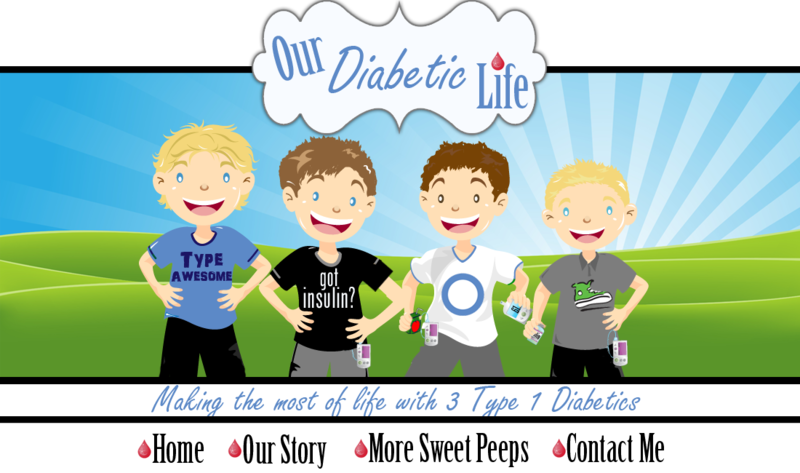 I'm just a mom, who has three children with Type 1 Diabetes. I'm just a sister, who has a brother with Type 1 Diabetes. I'm just a cousin, whose cousin has Type 1 Diabetes. I'm just a sister-in-law, whose brother-in-law has Type 1 Diabetes. 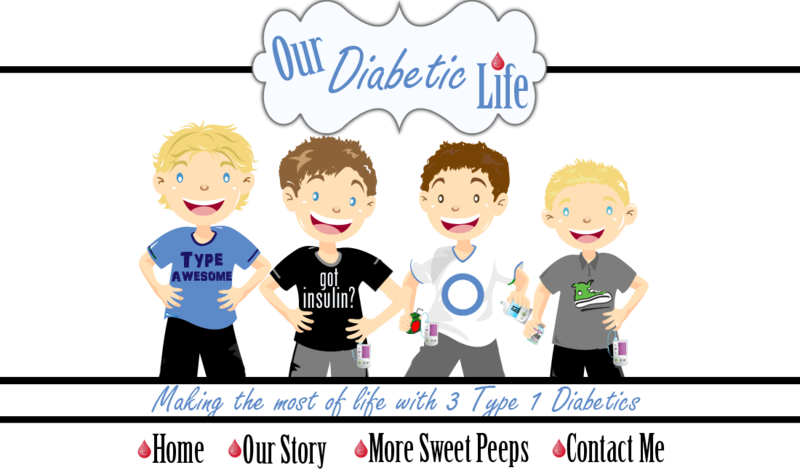 I'm just a friend, who has thousands of friends with Type 1 Diabetes. I'm just a daughter, who has a mother with Type 2 Diabetes. But little me is "just" now standing up, raising my voice above the din of people who say, "It's too big!" "It's too complicated!" "There are so many hands in the jar, where do you start?!" "Change is impossible!" "You're blaming the wrong people!" I'm here today to raise my voice and make the assertion that change is not impossible. It's only impossible if we do nothing. I'm also not here to get into a debate about Health Care being a right or a privilege. The bottom line is our situation is a bit different than others because the medicine we need access to keeps people alive. There are few medications in the world that if not taken, would result in death within days. Insulin is one of them. Health Care includes preventative care. It helps people reach better outcomes. It is defined at "the maintenance and improvement of physical and mental health." Life Care keeps us alive. Like a Heart/Lung Machine that keeps the body working during surgery, Insulin keeps our bodies working every minute of every day. Even so, access to insulin is infuriatingly difficult and expensive. It's difficult to keep my children alive. It's expensive to keep my children alive. My story isn't unique. I asked my Facebook friends if they had trouble accessing insulin. I'll insert here the obvious: I'm not a famous person. I don't have a million Facebook friends, or even tens of thousands...but the response I got was broad and swift. Insurance companies are making medical decisions. They are not in the room with our, doctors and us, yet they tell us what medications to use. Who gave them this omnipotent power to decide which medicine is best for me or my child? They do this without going over medical history and witnessing firsthand past outcomes. Pharma negotiates prices with insurance companies so that their medications become the carrier's "preferred" medications. As a result, we aren't given a choice on which insulin to use (or what meter to use, or what pump to use...). There are three fast acting insulins. The three are not the same. But the insurance companies do not care; we can have what they say we can have, regardless of the outcomes. “I thought I’d be ok financially. I saw my parents make it. Now they watch their 3 adult type 1 children and they worry about how we manage. One of us uses NPH and R insulin, two of us can't afford a CGM and I'm rationing strips and using my insulin way past the date I'm supposed to use it. Just to avoid another copay I don't change my lancet but twice a year and I use the same syringe for 2 weeks. I am very grateful that I can afford insulin at all but then again i'm putting it on a credit card." "The cost of her insulin has soared to an unattainable price at this point. I would classify this as a crisis. Currently, my daughter is using EXPIRED insulin that was donated by a community member whose loved one passed away. Even after paying $12,000 annually for health insurance (between premiums, our deductible, and co-insurance), we STILL cannot afford Apidra -- 1) because our insurance provider won't cover it; 2) because they'll only cover 50% of Humalog; and 3) because none of our prescription costs count towards the deductible, so we're forced to pay for those separate while still having to pay down our deductible for other healthcare expenses." “I am a US citizen who lives outside of the USA. I have often wished to move back to the States but a big reason that stops me from doing so is the situation with insurance and costs of medical care." In Canada, you can walk into a pharmacy and buy, over the counter, the same fast acting insulin my boys use for $35 a vial. Here in the States the same bottle of insulin retails for almost $400 a vial. It is against the law for us to cross the boarder for insulin. Someone has Canada's back. Who has ours? All the players in this impossible system have no oversight. They can charge what they want. Pay for what they want. PRESCRIBE us what they want? The United States system is letting the Pharmacy Benefit Managers, Pharma, and the Insurance Companies get away with all of this. We have to work for change. What are we leaving to our children if we don't? Public outcry is a must. This is why we have public officials...believe it or not they are supposed to represent us. They are supposed to help us elicit change. In regards to the EpiPen; patients were outraged about a $400 price hike for their lifesaving medication. Mylan, the maker of the EpiPen, just announced they will release a generic version that will half the price of the brand version. There will also be a discount card that will pay the generic amount in full. Change happened because 100,000 people signed a petition and parents went to lawmakers asking for change. How is their situatin any different than ours? I remember when Glucagon was $100 per dose. I just received glucagon from our mail order pharmacy. They billed our insurance $500 a piece for our glucagon. What? We cannot just watch this happen. I'm not naive. I realize this problem has many players. But for each one to point their finger at the next isn't right as each one of those players are lining their pockets with gold because we have our backs against the wall. Also, watch this video. It's a beginning. And so important. As ideas come, and others band together to incite change, I hope you will make a commitment to help work towards that change. Because there is no small change. Today, will you commit to help? Meri, your post yesterday inspired me to write one of my own today, and I've linked to your post from both yesterday and today there... Sharing these stories is so important, and taking action even moreso. Thank you so much for what you've put together! Very inspiring and I have sent off letters to my congressmen! Yay! Thank you for the links! It only took a few minutes! My 9 year old is type one, with severe allergies, requiring us to carry an epi-pen. We pay $1200 a month for insurance with a high deductible. 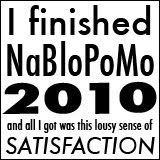 We're fortunate that so far, we've not gone without. If premiums keep increasing the way we are, it won't be long. I'm still paying $186 per month for the mandatory 3 day stay upon diagnosis. She's been diagnosed for almost 2 years. I'm considering looking into disability for her, as she also has hashimoto's and will be on synthroid before long, as well. What we really need is a class action lawsuit against the likes of UHC, Medtronic, and all those responsible...and those who signed into law Obama Care! The only thing that will effectively change this is hitting them where it counts most...the bottom line. I am sure there are hundreds of witnesses as to the effect that these insurance changes (and penalties) against people for not USING A SPECIFIC BRAND (monopoly inducing/choice restricting with penalties) must absolutely be against the law!! Isn't there a lawyer, who is intimately aware of the situation,that would stand up and create a class action lawsuit??? I promise you, there would be thousands of dedicated plaintiffs that would do what ever it took to get this off the ground! Count me in!! I can't afford the insulin that keeps me alive anymore. What do I do then????????? Kudos, Meri, for rising up and making it easy with links. Petitions signed. Letters written. Video watched. Keep going, Meri! You are making a difference. Thank you Meri for putting together this list of where we can voice our needs. Having two people in the family with type 1 diabetes makes this incredibly important. I feel so strongly about it that I will be hand writing letters in the coming week, too. Thank you for putting the fire in me to be the advocate and activist I need to be.